Maybe they wrapped this the wrong way…but the design would probably be more effective going across instead of up the middle. Not too exciting on the outside, but how about inside? For some reason, the filing stayed mostly tucked into the chicken shell. Any other time I unwrap something from Taco Bell, half the toppings fall out into the wrapper. Maybe because there’s less filling since the shell is the protein, the toppings are able to stay put? Did you know that Taco Bell has a newsroom page on their site, and it’s hilarious? 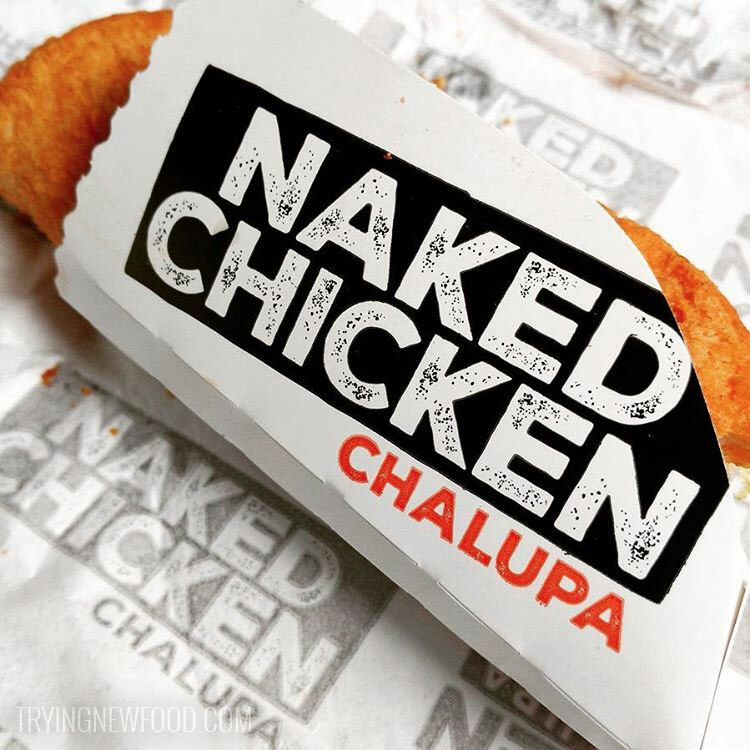 I found this post on the new Naked Chicken Chalupa and was very amused. So how was it? Surprisingly spicy. Just a little bit of spice in the chicken. I looked at the description and it’s filled “with crisp lettuce, diced tomatoes, cheese and avocado ranch sauce,” but no mention of the spice. 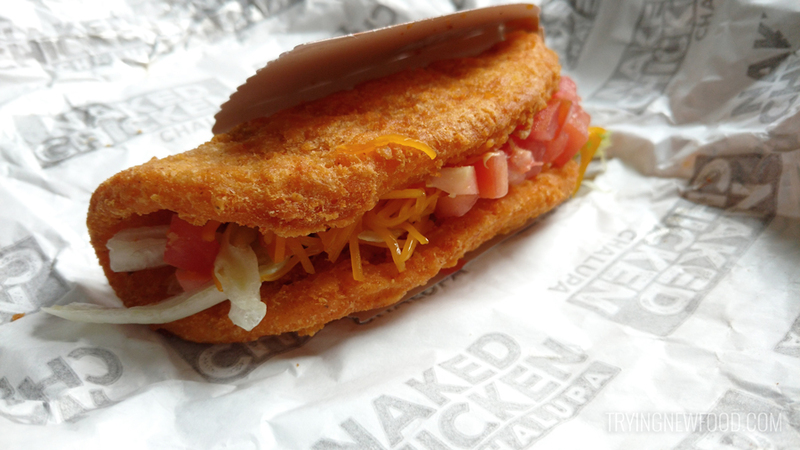 Overall, it tasted like a spicy chicken patty with taco fillings. It was a fun and strange experience, but I’m not sure I’d order it again. My husband said he’d buy another one. 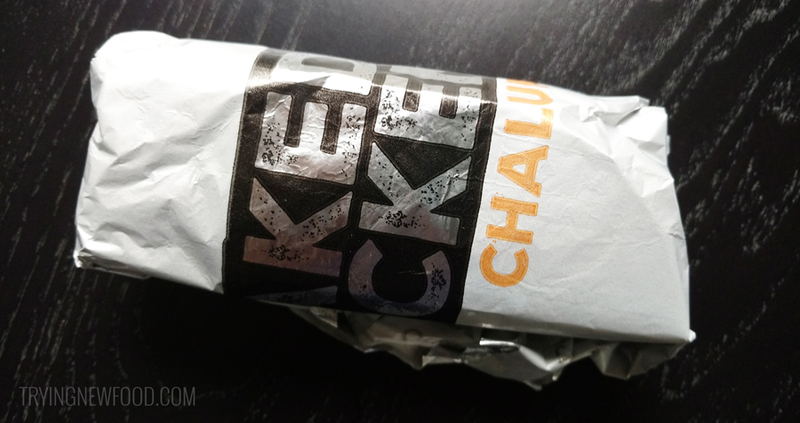 Definitely worth a try if you’re craving some fried chicken and are at Taco Bell. 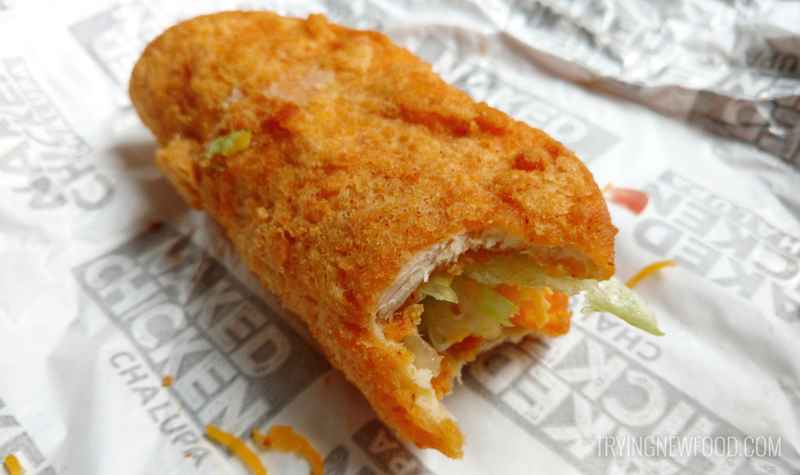 It’s $2.99 alone, or you can get it in the $5 Box with a Doritos Locos Taco, Crunchy or Soft Taco, and Medium Drink. 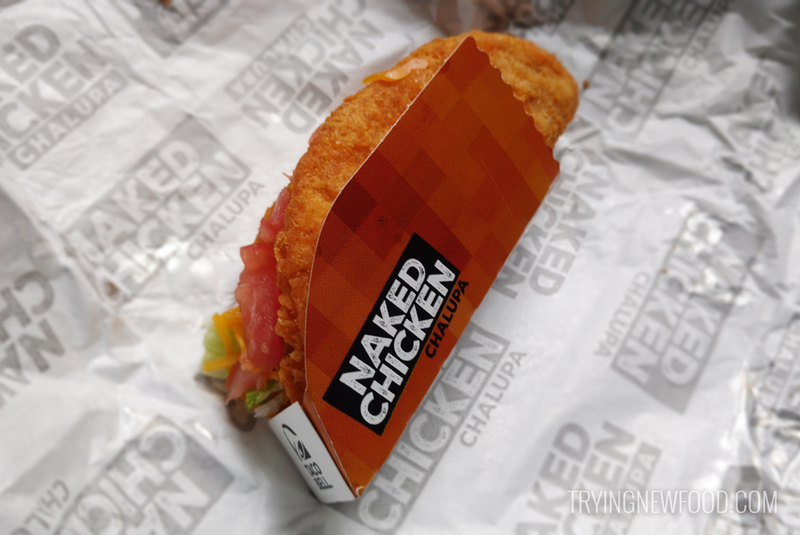 There are 440 calories in this Taco Bell Naked Chicken Chalupa, so not too bad!